With the summer holidays here adventure awaits, what better than to secure your items in the perfect travel suitcase. Organise your items, with Samonsite! This small travel case is totally deceiving, it is literally bursting with space. 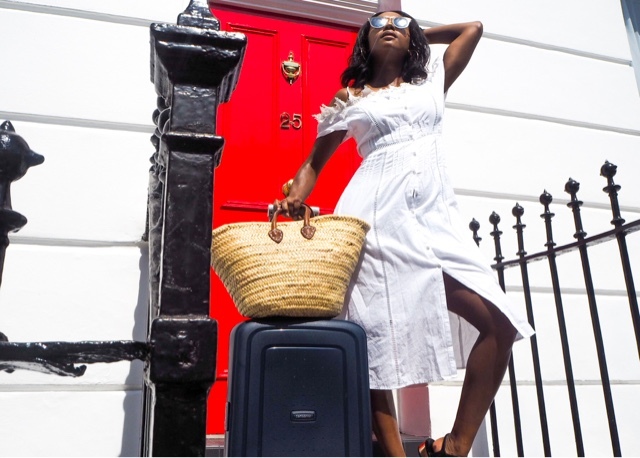 It is able to hold all your jewellery, lotions and potions, swimsuits and dresses and hats too plus so much more in this light and stylish suitcase. For me personally choosing Samsonite was a no brainer, they have been around for years and I remember holidays with my family as a kid, my mother always had Samsonite suitcases for us. So now that I am older (not necessarily wiser!) and a Mumma I thought I stick to what I know this travel season for Leanora and me. They are reliable sturdy and always have loads of new and exciting designs. 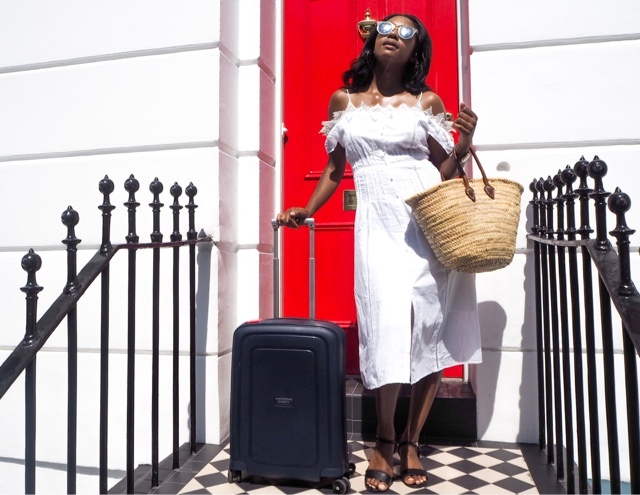 I choose this navy blue suitcase, as it is a colour that no matter the year it is reliable and goes with pretty much anything in my wardrobe, after all, I like whatever I wear and carry to suit all of my attire and be able to mix and match it with anything. 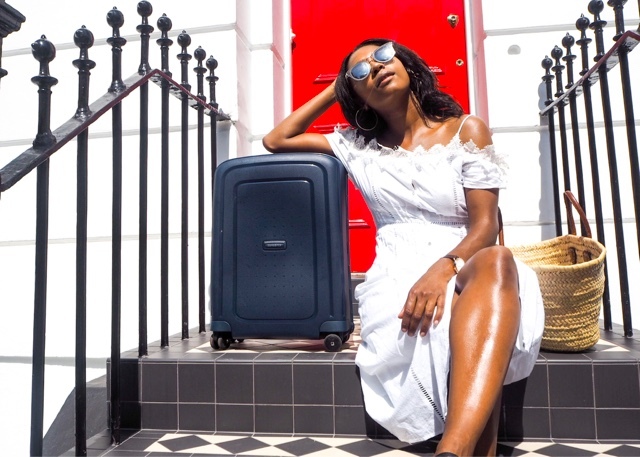 Fret not the perfect travel case from Samsonite come in loads of different colours and designs too, as well as being sold in sets, perfect for those that have children. With all the variety, for me what really sold me not just the space and design but the fact that the it has four wheels so you are able to pull and manoeuvre it at all angles, which is perfect for Leanora to be able to pull her own (at her insistence) and withstand the wear and tear that it will go through, especially as I feel I will have to be pulling both along with Leanora lounging on one (that sweet toddler life). Are you travelling this summer, where are you off to? Or will you be travelling with children, I have some handy tips!